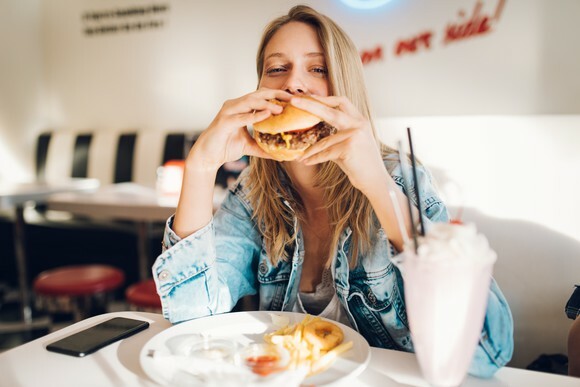 Shares of better-burger chain Shake Shack (NYSE: SHAK) made a round trip ending almost nowhere in 2018. After putting up a 60% mid-year rally, shares reversed course and ended the year with a 5% gain. However, that paltry return still handily beat the overall market's loss of 6% as measured by the S&P 500 index. 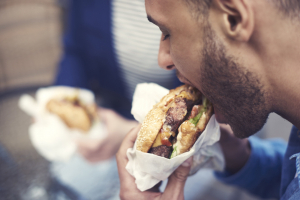 In spite of the burger joint's outperformance over the last year as it expanded across the country and overseas, investors should exercise caution before jumping on the bandwagon. Through the first three quarters of 2018, Shake Shack put up $335 million in revenue -- good for a 28% year-over-year increase. 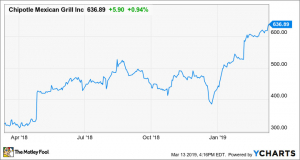 Though the bottom line is of secondary importance to the still small and mostly regional chain (most locations are in the Northeast U.S.), it's worth noting that earnings per share increased 22% over the same time period to $0.56. However, most of that sales and profit growth is due to the company's aggressive expansion. As many as 34 new Shacks were opened domestically in 2018, with an additional net 14 to 16 franchised -- most of which are located internationally. That's a better than 30% increase over 2017, and management sees another 36 to 40 domestic locations and 16 to 18 franchised ones opening during the new year. That rapid pace of openings and diners' warm reception of the brand is impressive, but sales at existing stores have been relatively flat going on two years now. Same-Shack sales (a combination of foot traffic per location and average guest ticket size) is expected to be 0% to 1% higher than in 2017. According to research group TDn2K, overall restaurant industry comparable sales have been in the same range all year. Paired with on-average lower foot traffic, that implies Shake Shack and its peers are hiding declining guest counts with higher menu pricing. Data source: TDn2K and Shake Shack. Shake Shack and other better-burger chains are part of the problem. America is eating out more than ever before, and in an attempt to scoop up market share, new locations are popping up faster than the dining-out trend can keep up. Hamburger joints are among some of the most aggressive when it comes to expansion. At the end of the day, over-expansion and resulting declines in traffic mean lower profits per average location. Shack-level profit margins are down to 26.4% on the year compared with 27.2% a year ago. Through the first nine months of 2018, Shake Shack's adjusted EBITDA (earnings before interest, tax, depreciation, and amortization) profit margin was 17.7%, down from 18.9% during 2017. Thus, even though Shake Shack is growing in size, and its existing stores are maturing, its profit margins are getting smaller. If all was going well, the opposite should be occurring. That makes this burger chain's stock a bet on whether it can grow its total number of locations faster than its competition -- at least until it can find a way to break out of the restaurant industry average. 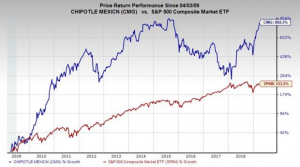 Given that Shake Shack has few tailwinds other than consumers spending lots of money eating out, there are other restaurant stocks out there worth owning instead. David and Tom just revealed what they believe are the 10 best stocks for investors to buy right now... and Shake Shack wasn't one of them! That's right -- they think these 10 stocks are even better buys. 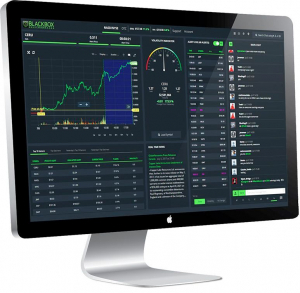 THE MOST USER FRIENDLY STOCK & OPTIONS TOOL ON THE MARKET FEATURING REAL-TIME EDUCATION IN A COMMUNITY OF TOP TRADERS!